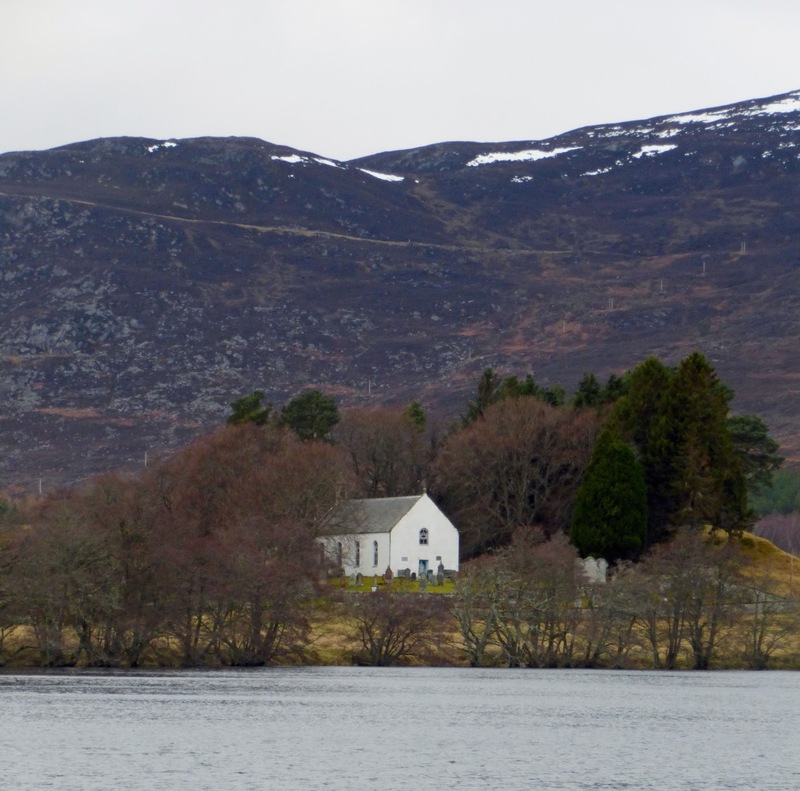 This story begins in Alvie, a parish in Inverness in the Highlands of Scotland. In January 1845 Duncan Macpherson married Mary Wilson - and these newlyweds obviously got straight down to business, as their first child was born nine months and ten days after their wedding! 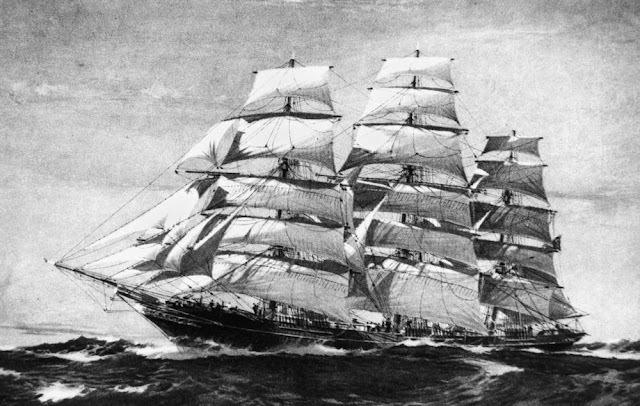 When their first child was not quite three months old, the three of them boarded a sailing ship in London bound for South Australia. Two years later they shifted to Western Australia, travelling from Adelaide to Fremantle by ship, which was the most effective method of travel at the time. Shortly after their arrival in WA they moved to Toodyay, where Duncan Macpherson worked as a shepherd and labourer. 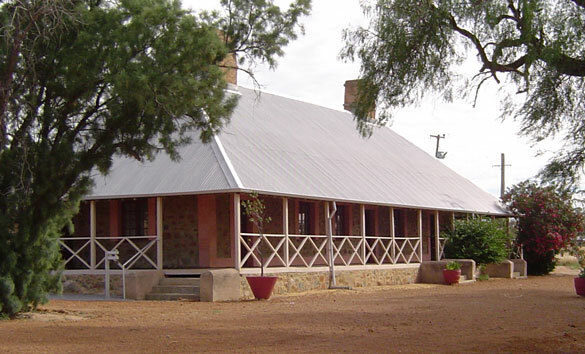 In 1849 he leased Byeen Farm in Toodyay, where the family would remain for 18 years. 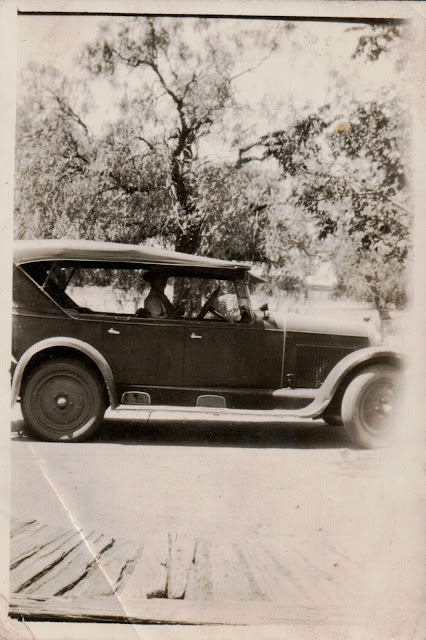 Duncan and Mary ended up with nine children - Aeneas born in Scotland, Locke born in South Australia and Jock, Bessie, Maggie, Bill, Donald, Alick and George, who were all born in Toodyay. While farming in Toodyay, Duncan took up a number of pastoral leases in Carnamah in 1861. As hard as it to imagine today, they herded livestock from Toodyay to graze on their land in Carnamah. It was during this time that Duncan or one of his elder sons fathered two Aboriginal children in Carnamah, and their names were Albert Nebrong and Frances Nintigian. Meanwhile, back in Toodyay, things weren't going too well. Duncan and Mary's eldest son Aeneas had died in 1866 and mounting debt, pending bankruptcy and then a disastrous fire saw them evicted from Byeen Farm in late 1867. Their livestock, farm implements and even their household furniture was sold to clear their debts. 150 years ago, in 1868, Duncan and Mary Macpherson and their eight surviving children shifted to their pastoral leases in Carnamah to start again. They initially resided in a three-room stone cottage near the Yarra Yarra Lakes before shifting close to Carnamah Spring where they built the large home we now call the Macpherson Homestead. In their time it was called Carnamah House and it was the centrepiece of Carnamah Station, a pastoral station that was eventually over 125,000 acres in size (more than 50,000 hectares). The family developed Carnamah Station to breed and graze sheep near the Yarra Yarra Lakes and both cattle and horses further east. They employed mostly Aboriginal people but also Ticket of Leave convicts and Chinese immigrants. Carnamah was at this time quite literally in the middle of nowhere. The family played a significant role in WA's early communications by running a telegraph office from their homestead and in delivering mail on horseback along parts of the mail-route between Perth and Geraldton. In 1891 Duncan Macpherson and his sons had 10,000 sheep, 300 horses and 300 head of cattle in Carnamah. They sold their livestock after herding them overland to Guildford and Geraldton. They were cropping just 40 acres in 1891 but had plans for more once the railway went through, as it would then be easier and more economical to move their grain. Some of Duncan and Mary Macpherson's children eventually dispersed as they grew older. Locke leased and ran Yandenooka Station in the Mingenew district; Jock was a farmer and innkeeper in Greenough before managing Arrino Station; Bill managed Tibradden Station near Geraldton; and Alick managed Billabalong Station in the Murchison. Duncan Macpherson's wife Mary died in Carnamah in 1888 and her body was taken back to Toodyay to be buried alongside their eldest son. 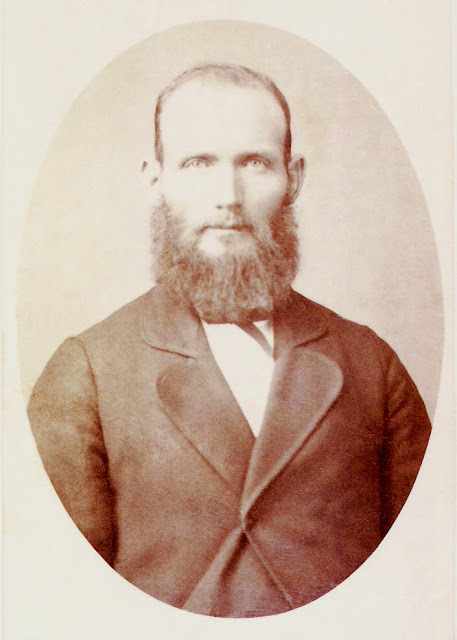 Duncan died ten years after his wife, in 1898, and was also buried in Toodyay. His sons Donald and George took over Carnamah Station. In addition to the station the two brothers transported wagons full of supplies and machinery from Perth to the first gold mine at Rothsay and also gathered timber which they carted and sold to the Great Fingal Mine in Cue. Just before Christmas in 1904 the Macpherson brothers Donald and George went shooting wild turkeys some distance from their homestead. When about halfway home, they stopped to give an Aboriginal man some rations. Donald handed the reins of their horse-drawn buggy to George, with his gun between his legs. The reins became entangled with the trigger of the gun and it exploded, with terrible consequences for George's right arm. Donald rushed his brother to the train and a doctor joined them along the way to Perth. The next day George's arm was amputated but sadly, he was reported to have died from shock on Christmas day in 1904. He was also buried in Toodyay. 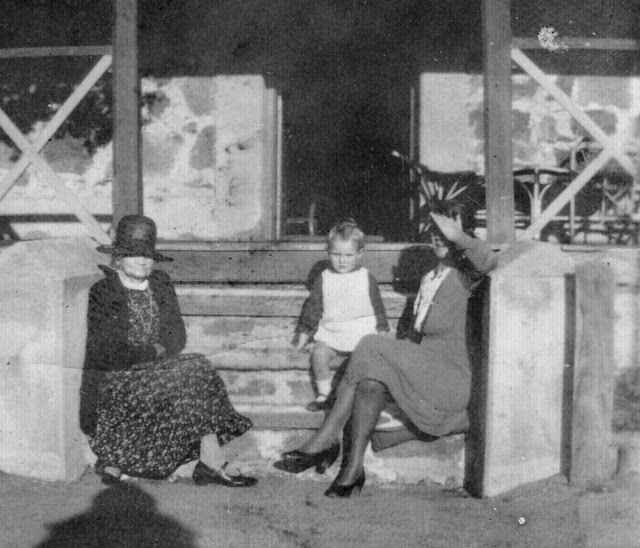 Donald Macpherson then became the sole owner of Carnamah Station. He continued to live in the family homestead, along with his two sisters Bessie and Maggie. By this time the station had more than halved in size as the government had taken a lot of the land they had been leasing and given it to the Midland Railway Company - which was in payment for building for the railway from Midland to Walkaway. Carnamah was slow to grow following the arrival of the railway, with only a hand-full of people taking up small farms between the railway line and the Yarra Yarra Lakes. In 1906 the government opened up Three Springs for farming under the name of the Kadathinni Agricultural Area. It quickly turned into a thriving and populated community and Donald Macpherson was very actively involved in its early development. He was the Founding President of the Three Springs Race Club and the Three Springs Rifle Club and an Inaugural Vice President of the Kadathinni Cricket Club in Three Springs. Donald was heavily into horse racing and owned a number of successful racehorses. One of them, named Carnamah, won a series of prizes at races in Perth and on the goldfields between 1909 and 1912. Donald imported an English stallion named Grenelle, which went on to be awarded the Champion Horse at the Perth Royal Show. He also exhibited his livestock to the north, taking horses and cattle to the Irwin Show in Dongara in 1910 - where, among many other prizes, he had the Champion Stallion, Champion Mare, Champion Bull and Champion Cow. Despite Donald's exploits, no one wanted to buy land in Carnamah. The Midland Railway Company were keen to start selling their land in the district so devised a scheme to develop virgin bush into farms and sell them as 'Ready-Made Farms'. Many of the families who settled on these properties were from Scotland - including the Lang, Niven, Raffan, Robertson, Forrester and Bowman families. Although Donald and his sisters were born in Australia, they had a strong Scottish identity and combined with these new settlers, Carnamah soon became known as the 'Scotch Settlement'. Donald led the charge in many community organisations, serving as president and later patron of Carnamah's football, cricket, race and rifle clubs. He also helped get the first Carnamah Hall built and served as president and patron of the Carnamah District Agricultural Society. He was the first from Carnamah to serve on local government, securing a place on the Upper Irwin Road Board in Mingenew, which had jurisdiction over Carnamah. In 1916 the chairman of the Road Board visited Carnamah and Donald was reported to have driven into every hole and boulder in the district, with the conclusion that a fairer sum would be spent on improving roads in Carnamah. Donald's sister Maggie never married and died at the Macpherson Homestead in 1921. She'd fallen from her horse on Old Telegraph Road and received a nasty wound to her face from a stick, which never healed and eventually turned cancerous. Maggie ran the telegraph office in Carnamah for 39 years, operated Carnamah's first post office for 19 years and was also the local meteorological observer. Thanks to Maggie we have rainfall records for Carnamah that stretch back to 1887. In case you were wondering, the monthly rainfall 130 years ago (in January 1888) was 92 millimetres. In 1919, at the age of 61, an unmarried Donald Macpherson decided his days of being a large pastoralist were behind him. He sold half of his land to the state government - who subdivided the land and allocated it to soldier settlers from the First World War. He continued to breed livestock but on the scale of a farmer. Donald passed away in 1931. His death was reported in The West Australian, The Sunday Times, The Western Mail, The Irwin Index and The Midlands Advocate. He had been a Justice of the Peace for 44 years and newspaper reports described him as the "Father of Carnamah". All businesses in Carnamah closed on the day of his funeral and over 200 people attended his burial at the Winchester Cemetery. A newspaper report on his funeral lists a long number of people who sent flowers for his grave and among the many names are those of 15 Aboriginal people - many of whom were in fact relatives never openly spoken of and other former employees. Donald left his estate to his unmarried sister Bessie and his nephew Percy Macpherson. They sold his remaining land, keeping only 100 acres surrounding the Macpherson Homestead. His sister Bessie continued to live at the homestead until her death at the age of 87 years in 1939. Bessie and her sister Maggie had lived their latter years in relative comfort, always employing a domestic helper and having a dining table adorned in silverware on starched white linen. However, what happened to the two Aboriginal children? The daughter Frances Nintigian married James Ryder and spent time at both the Benedictine Mission in New Norcia and at the Moore River Native Settlement in Mogumber. She died near Moora in the 1920s and a number of her children later lived in Carnamah with their partners and children. It is highly probable that some of her descendants might still be living in Carnamah today. The son Albert Nebrong worked for many years as a shepherd and stockman on Carnamah Station. In 1898 another Aboriginal man started a fight with him that resulted in the other man's death. Albert was arrested by the police from Mingenew and went before the Supreme Court in Geraldton. He was facing an extremely harsh penalty but ended up with a sentence of just one year's imprisonment, mostly because of the testimony given by George Macpherson. George described Albert as very good tempered man who he'd never been known to be malicious. As far as the court was aware, George was merely his employer - when in fact he was either his half-brother or uncle. 1898 wasn't Albert Nebrong's year as the legal system was also pursuing him for the custody of an Aboriginal child. The child's mother had died and Albert had collected the child and brought it back to Carnamah, believing he was the father. Benedict Cuper also believed the child was his, and with the help of the monks at New Norcia, arranged to get the boy back. Albert was in prison and George Macpherson refused to hand over the child. He was eventually forced to do so by a court order. When they came to collect the boy, Donald Macpherson made them walk eight miles to find him, while he rode alongside on a horse, possibly hoping that they wouldn't succeed. After being released from prison Albert Nebrong had a daughter, who was known as both Carnamah Jessie and Jessie Nebrong. Like her father, she was kept close by the Macpherson family. She worked doing odd jobs at the homestead and her partner Joachim Dido worked for the family as a shepherd. Albert Nebrong later worked in Greenough, possibly for John Macpherson, before spending time on Ninghan and Coodignow stations in Payne's Find. He died in 1939 but rose to national fame in 1947 when it was claimed that years before his death he had cured himself of tongue cancer. In the 1930s Albert had presented at the Dalwallinu Hospital and a very concerned doctor arranged for him to go to Perth for treatment. He took off the next morning and the doctor was so worried for his welfare that he pleaded for authorities to locate him. The police were tasked with finding him and they finally did three years later, however, his tongue required no treatment. He is said to have treated himself using a native plant known as the Maroon bush. The plant was assessed by a drug panel but never progressed to being used in medicine. 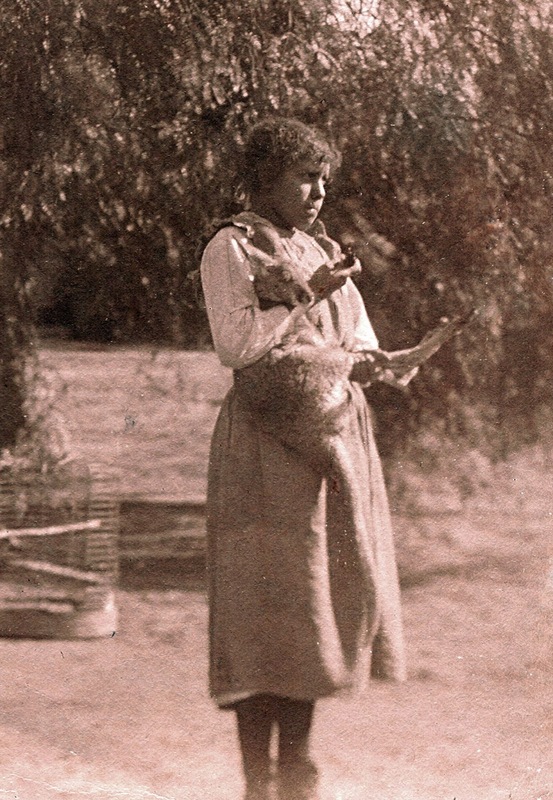 Albert Nebrong's daughter Jessie remained in Carnamah until the 1940s and received money from Malcolm Macpherson whenever he passed through Carnamah. Malcolm was Donald and Bessie's great nephew and he had inherited and sold the Macpherson Homestead after Bessie died. It appears to be the final act of a family who supported and cared for their indigenous family members but who, quite sadly due to the social conditions of the time, never publicly acknowledged them. Jump forward to 2018 and the Macpherson surname lives on as the name of Carnamah's main street. Two streets on the west side of town are also named after them - Donald Street after Donald Macpherson and Wilson Street after Mrs Mary Macpherson's maiden surname. Wilson Street is the only street or road in Carnamah to have been named after a woman.